Create your own Dell 962 inkjet pack / bundle with our flexible quantity discount pricing. Mix and match products so you are only purchasing what you need, but also maximizing your savings. Remanufactured Color Ink Cartridge with 561 high capacity page yield. Equivalent to Dell part number(s): M4646, J5567, R5974, 310-5882, 310-5371, 310-7160, 310-6272, 310-6964, 310-6969, 310-8235, 310-5375, Series 5 Color. 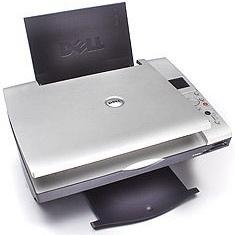 Fits the following model(s): Dell 962, Dell A962. Remanufactured Black Ink Cartridge with 638 high capacity page yield. Equivalent to Dell part number(s): M4640, R5956, 310-7159, 310-6963, 310-5368, 310-5881, 310-6271, 310-6968, Series 5 Black. Fits the following model(s): Dell 962, Dell A962. Buy our high quality compatible ink for Dell 962 with confidence. Join thousands of happy customers who have found our compatible products are equivalent in page yield and print quality. For our compatible products, we offer a 100% Satisfaction Guarantee allowing you to return products within 6 months if you are unsatisfied. 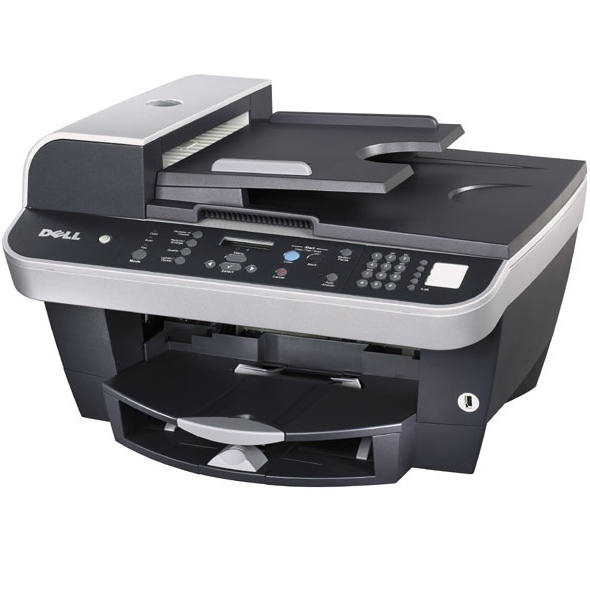 The Dell 962 is an all-in-one inkjet device that is both affordable and versatile. 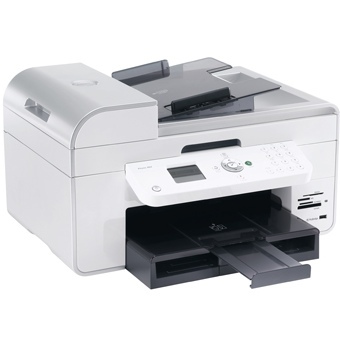 Jammed into a 19.6x16.5x11.9 inch frame, this unit serves as a fax machine, photocopier, high-resolution scanner, and printer. Though it has the functionality to handle office needs, it is designed for low-volume use, thus making it better for personal needs. The 962 can generate black-and-white or color documents, as well as impressive photos. When using only the black Dell 962 ink, up to 20 copies and 16 prints can be produced per minute. In color, though, the output rate drops to 15 copies and 8 prints per minute. 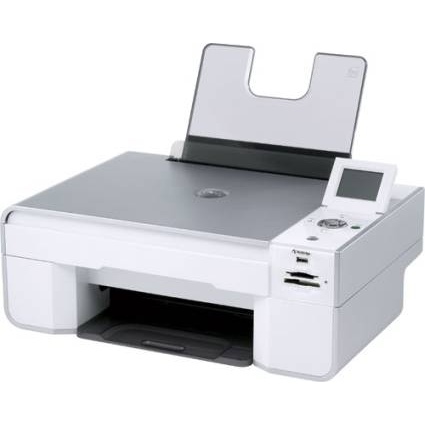 To print the best quality color photos, the black Dell 962 ink cartridge can be swapped out for the optional photo supply, which consists of black, light cyan, and light magenta printer ink. The maximum monthly duty cycle of the 962 is 5,000 pages, though it is recommended by the manufacturer to generate about half that many documents each month for optimal reliability. A maximum of 100 sheets can be held in the input tray at a time, while the output tray holds up to 50 pages. 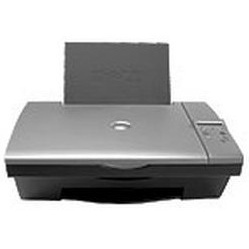 There is an automatic document feeder that sits atop the scanner lid and continuously feeds paper for scan or copy tasks with multiple pages. The ADF also holds about 50 sheets of paper. Users can connect a computer to this inkjet machine via USB port, but only Windows operating systems are compatible. A PictBridge port allows users to print pictures straight from a digital camera, though the LCD display on the 962 is not designed for previewing images. That will need to be done on the screen of the camera itself. 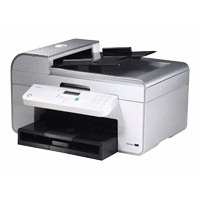 Three Dell 962 ink cartridges are available to be used in this machine, though only two are required for operation. The photo printer ink is only needed for users who want to elevate the quality of pictures being printed. Compatible Dell 962 ink is available from third-party vendors, providing an economical alternative to expensive OEM supplies. For consumers that are looking for an all-in-one device to fit comfortably in a home office and perform a variety of tasks with quality, the Dell 962 is a good choice. This machine offers a number of features that seem like a steal for the price, but only Windows users will benefit.